Film & Stage Crew Jobs>Post Production & Editing>Expert Video Editor? Natural Creative? Expert Video Editor? Natural Creative? 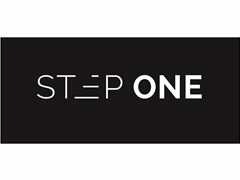 We are Step One Underwear. We are young, but growing very quickly and need a semi-permanent EXPERT video editor. - Be fun/outgoing and love to have a laugh - This is a must! - If you can operate a camera & love getting involved in ideas for videos then you will do extra well! - Write scripts? Awesome if you do, no biggie if you don't. Overall, we have male and female customers so we tailor our ads to different demographics and audiences. There will be a few trial days, but ideally, it will be 1-3 days per week ongoing. You will know Premier like the back of your hand and produce stunning video edits. Pay can be discussed depending on quality of work output.